Do you ever finish a book yet still feel as though it is still alive inside of you? I know I do, and it’s one of the reasons I participate in a book group. As an adult, being part of a book group allows me to delve deeper into the book by asking questions of my fellow readers, listening to the opinions of others, and continuing to let the story simmer in my mind. Children also need opportunities to make connections to books, especially after the book has been finished. Experiences allow children to add another layer of understanding to their word, and this is even true with reading. Follow-up experiences help young readers make personal connections to books and stories. Lastly, being able to be playful with books fosters a love of reading. 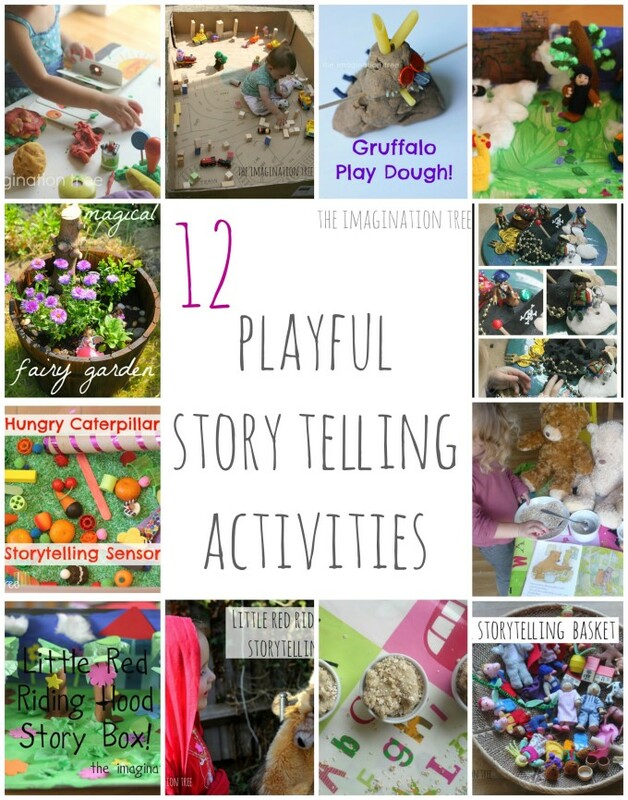 One of my favorite sites, The Imagination Tree (imaginationtree.com), has a recent post called ’12 Playful Storytelling Activities. 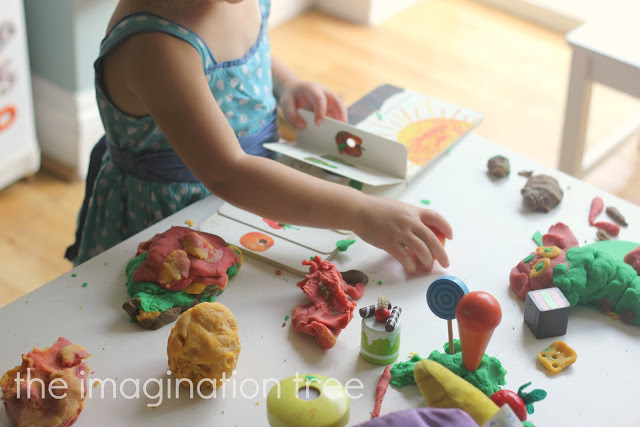 Using everyday materials like play dough, garden plants and cardboard children bring the stories to life through play. I highly recommend starting these playful reading activites with children from an early age as children benefit from such interactive experiences, in addition to being active listeners.